In Nepal, the festival, called Tihar, celebrates the triumph of light over darkness and knowledge over ignorance. 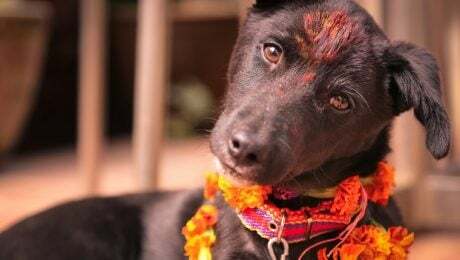 Nepal dedicates the second day of these festivities to celebration of the special relationship dogs have to humans. A group of friends were staying in a cabin in the woods for a bachelor party when a hungry mama dog showed up. 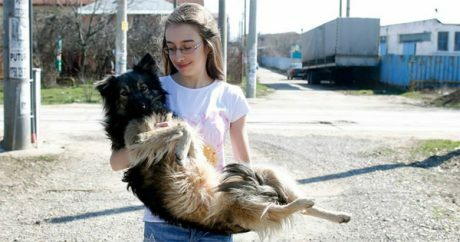 They managed to find her puppies and rescue them all. 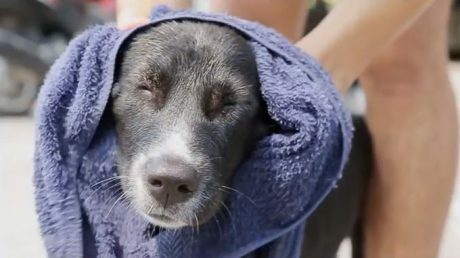 After falling in love with a stray dog in his village, one man made it his mission to bathe all the stray dogs in town. Every day he heads into town with a bucket to wash dogs. 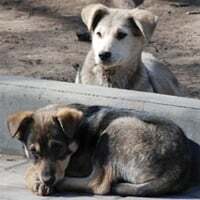 An estimated 64,000 stray dogs roam the streets of Bucharest; a new Romanian law states homeless dogs will be euthanized after two weeks if they aren’t claimed by the owner.